White Plains, NY—Emerald Expositions is pleased to announce that in September of 2018, they are launching a rebranding campaign for the widely respected ACRE™ shows, which will include a change of name to American Handcrafted™. The ACRE™ shows have long represented original, creative and quality products handmade in North America, and the new name, which will be launched with American Handcrafted™ Orlando, September 6-8, 2018, provides the community, as well as existing and prospective retail buyers, with both clarity and distinction. American Handcrafted™ Orlando will feature a juried selection of North American artists representing a mix of all media and product categories in a region that is traditionally very successful for the handmade industry. The show will also feature on-site demonstrations, seminars, social media events and networking opportunities that will result in a creative and innovative environment for makers and buyers. The September timing of American Handcrafted™ Orlando allows for sufficient time to fill orders for the holiday selling season, and the show will be co-located with SURF Expo, which is a destination show for resort buyers on the east coast. The February 2018 ACRE™ event, which was held at the Pennsylvania Convention Center, February 17-19, was the last featuring the former name and branding, before transitioning to American Handcrafted™ Philadelphia in 2019. 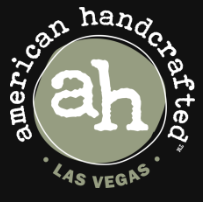 Also in 2019, ACRE™ Las Vegas will become American Handcrafted™ Las Vegas. American Handcrafted events focus on artisan craftsmanship and design showcasing established artists representing all mediums along with new and upcoming makers from the contemporary maker movement. American Handcrafted Orlando will be the first event to take place in 2018 under the new branding and will take place September 6-8, 2018 at the Orlando Convention Center. Attendees including art & fine craft galleries, modern gift & home stores, independent retailers, art institutions, e-retailers, national retail chains, and museums are expected to attend.